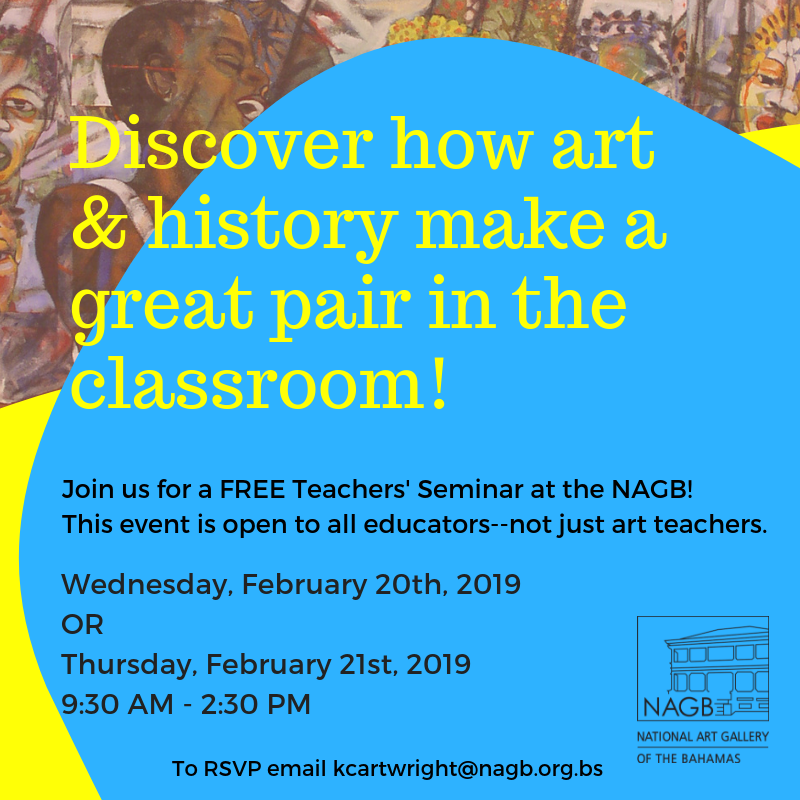 The NAGB’s Teachers’ Seminars are a series of professional development workshops for all teachers who are interested in learning more about integrating art with other subjects in their classes and utilizing resources at the museum to enhance their students' creative experience. These workshops can also be used by teachers to accumulate professional development hours over the course of the school year. To register contact Katrina Cartwright at kcartwright@nagb.org.bs or call 328-5800.